We met Georgene at an art show in Philadelphia. She told us that she had been having trouble making online sales through her outdated website. We took a look and decided that with our eCommerce specialty we could really help her boost her online sales. Georgene creates all of her jewelry herself, so her website had to be as unique as each of her pieces. This means that she needs a store that can adapt and changes as she creates new art. We helped her set up a functional online shop with all the bells and whistles needed to compete in the modern marketplace. 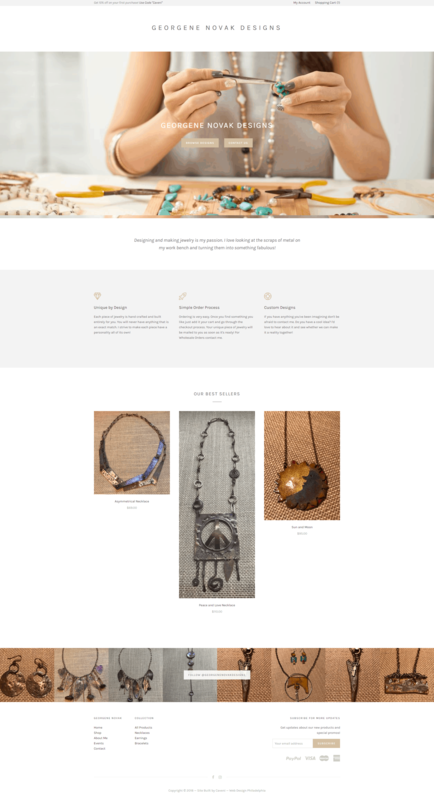 We updated her design to be more friendly for her customers and we did a total revamp of her online sales process.